This Caterpillar is Dangerous! Beware of the Puss Moth Caterpillar - 2NGAW! More often than not, caterpillars are harmless creatures that are really just more concerned on eating leaf so they could upgrade their status and move on to become an adult something, perhaps a butterfly or a moth. 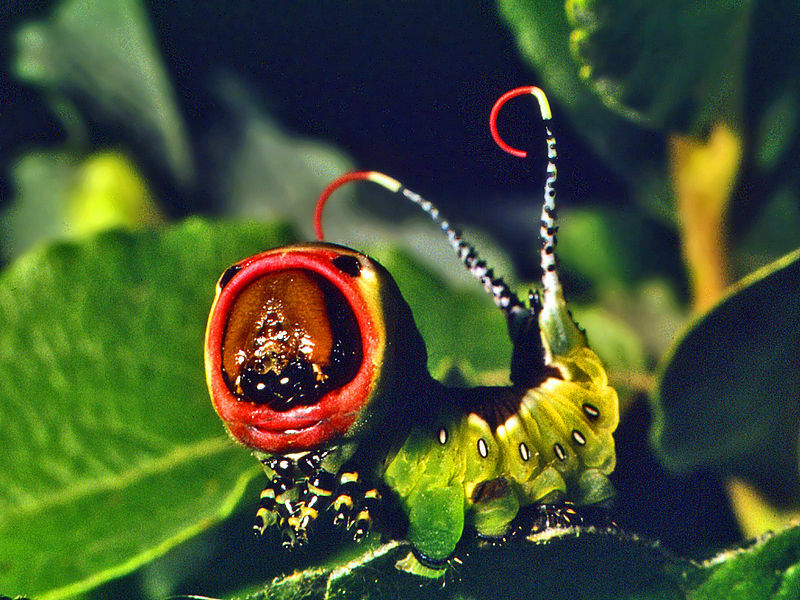 There are some species that are dangerous or might cause harm, however – one good example is the cute but acid-squirting Puss Moth Caterpillar. Now, most caterpillars have evolved in such a way that they can ward off potential predators with their appearance. 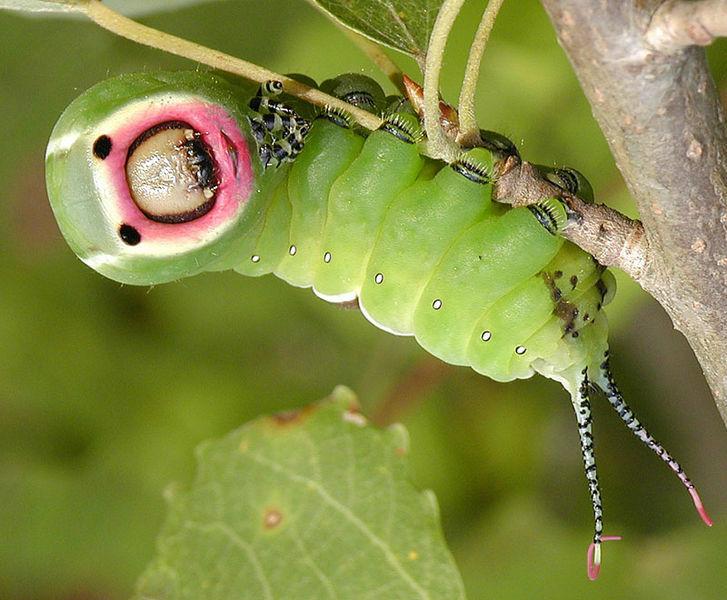 The puss moth caterpillar is able to achieve this by having rows of black and white spots that look like eyes at the sides of its bright green body. What predator would love to eat something with lots of eyes, anyway? But the scary factor does not stop there because this mean little creature has a frightening “face” comprised of an alien-looking “mouth” where its head actually protrudes from. There are two black spots over this “mouth”, making the caterpillar look like it has a very large mouth but the real one is actually quite small and just enough for its size. It is also important to point out that this meanie will quickly face its “attacker” – just try touching any part of its body and it will quickly turn its creepy face to see you better (So it could eat you??? Uh oh!). When in full alert, this mean little caterpillar raises its two horn-like tails whose pinkish red tips could squirt formic acid to attackers if the scare tactics didn’t work. Didn’t we tell you this one was dangerous? So, the next you find this 80-mm alien-like bright caterpillar, it is best you run away as fast as you can! Viral Video: Who Let The Goats Out?